It is called "chin orthodontic surgery" and it is called as 2-jaw surgery or Double Jaw surgery as both the upper jaw (upper jaw) and lower jaw (lower jaw) are operated together. This surgery is a jaw correction surgery that fracture and correct the upper and lower jaw bone correcting lantern jaw, protruding mouth, facial asymmetry, along with other incorrectly positioned jaw and jaw function related corrections. In most cases, it is accompanied with dental problems, and in this case, combinational jaw joint problems such as malocclusion (incorrect teeth alignment); functional problems such as difficulty chewing and speaking can be observed. 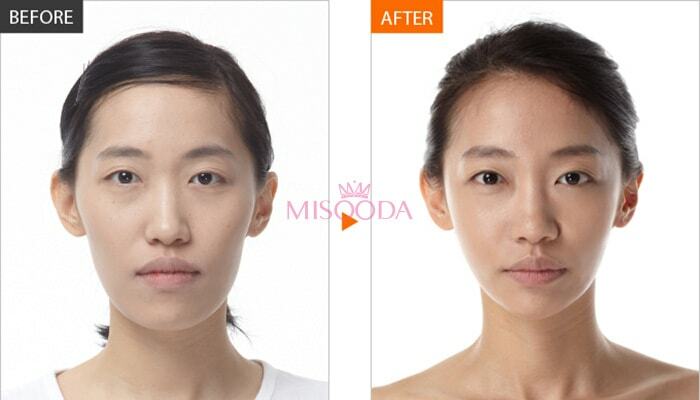 Two-Jaw surgery or Double Jaw surgery can not only restore the function of the jaw but it also enhances your appearance and improves your image into a more sophisticated look. Cut the upper and lower jaw and reposition the jaw to proper location through an incision inside the mouth. There are two methods to fracturing of the jaw bone; Sagittal Split Ramus Osteotomy (SSRO) and Intraoral Vertical Ramus Osteotomy (IVRO). The SSRO method is commonly used and it is advantageous for early stability and can relieve stress of physical therapy and upper and lower jaw bone fixation. IVRO is used for lantern jaw correction and it does not place strain on the temporomandibular joint therefore, it is a good method for patients with temporomandibular joint arthrosis. Who are the candidates for Two-Jaw surgery or Double Jaw surgery? - Those whose lantern jaw is accompanied with malocclusion. - Those whose shape of eyes and the nose is ideal but is not balanced. General price guide line for Two-jaw Surgery or Double Jaw surgery in Korea is USD$11,000 to USD$14,000 according to Korea Health Industry Development Institute. The price is decided in variable range depending on the method and difficulty of patients’ case.